You want your horse to stay with you when you are working around her. That way she will know if you are asking her to do something or just making some adjustments to your tack. 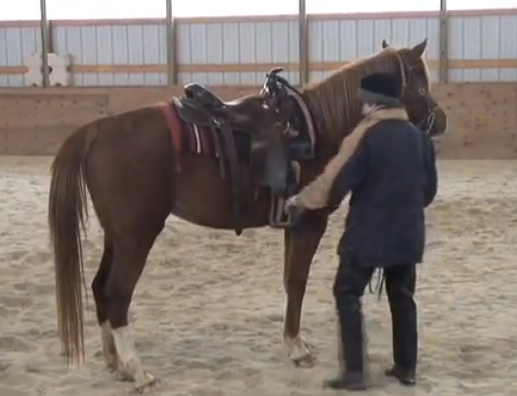 In this mare’s first session she was not with me when I moved to the right side and popped the stirrup. Notice I continued to work the stirrup until she stopped. In the second session and in every one since then she stood willingly while I worked the stirrups on both sides.